At The request of Mr. REID, The Following Statement Was Ordered to Be Printed in the Record. Opinion Piece: "Our Greatest Resource"
Byrd's-Eye View: "Play Ball! Baseball Season Arrives"
Byrd's-Eye View: "Pearl S. Buck: Great Author, Great Humanitarian, Great West Virginian"
Byrd's-Eye View: "God's Gift To West Virginia"
Byrd's-Eye View: "February Is African-American History Month: Part I. 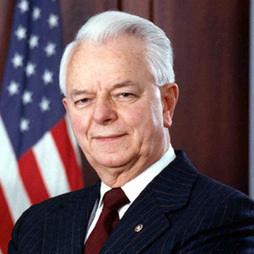 West Virginia History Made"
Byrd to DuPont: "I Have Significant Concerns About Your Facility's Emergency Management"
Byrd's-Eye View: "George Washington Slept in West Virginia"
Hearing Of The Senate Committee On Rules Administration - "Corporate America Vs. The Voter: Examining The Supreme Court's Decision To Allow Unlimited Corporate Spending In Elections"